Man in Chair really must learn not to buy tickets when blinded by stars. 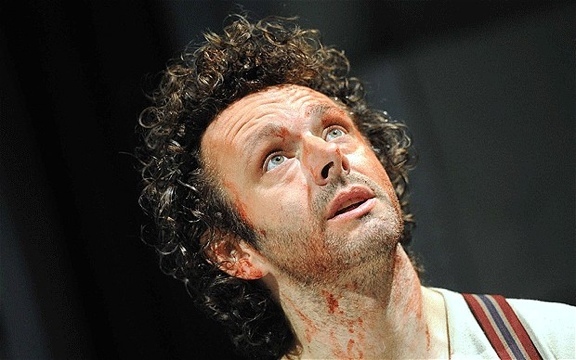 The opportunity to see Michael Sheen, acclaimed star of the The Queen, Frost/Nixon and many more, in person was too much too resist, especially at the incredibly reasonable prices of the Young Vic. Whereas a 200 minute opera fairly flies by, an inscrutably dense production of a Shakespeare drama transplanted to a mental hospital does not. Calling to mind the John Doyle asylum-set Sweeney Todd, in which all the action took place in Tobias’ head, this staging of Hamlet sees patients, doctors, guards, families take the roles of the royal family of Denmark. Director Ian Rickson clearly had a strong vision for the play but the too clever theatricality seriously diluted the stunning strength of Sheen’s performance. Met by ushers in the foyer, audiences were first transported outside to enter the theatre from the back for a unique scene-setting trip through the stark mental institution that housed the characters. Performed 3/4 in the round, constant movement ensured that the audience were well included at all time. Sheen was a wonder to see in action. Framed by his natural mop of ringlet curls, his expressive face captured the many moods of the mental case he played and his manic energy never flagged as he sprung from corner to corner of the set. Most miraculous was his inventive expression and diction, breaking up the iambic pentameter to a point that it was almost unrecognizable as Shakespeare. 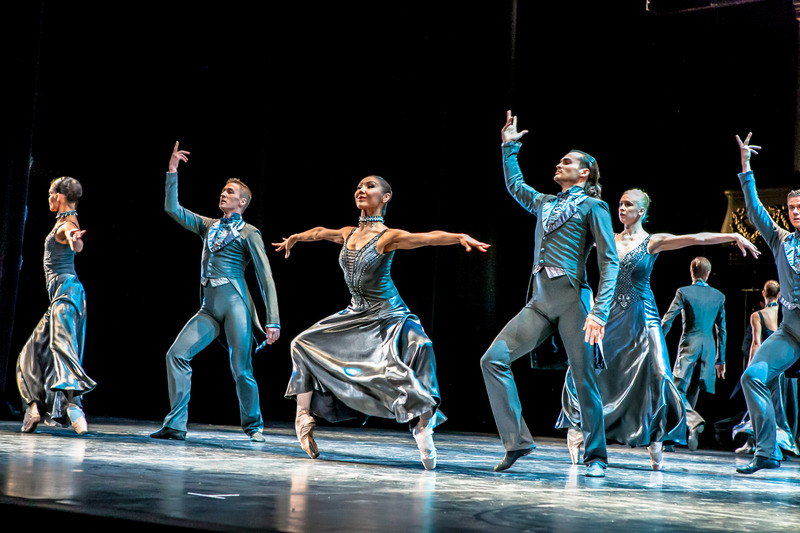 While certainly a distinctive staging, the overall enjoyment factor was not there. Still, the chance to witness a terrific performance was appreciated. A curious blend of comedy, history and drama, the overall impression is of an episode of Dynasty set in 1183. 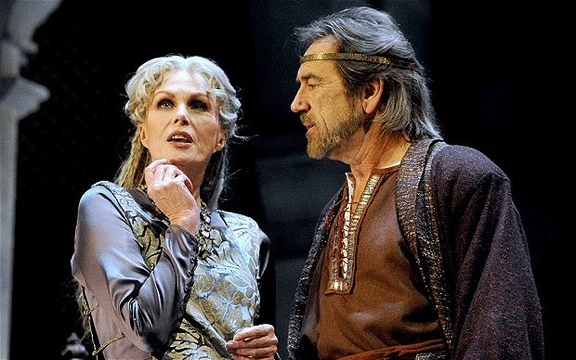 Starring Robert Lindsay as Henry II and Joanna Lumley as his estranged-at-best wife Eleanor of Aquitane, The Lion in Winter has been given a sumptuous staging in a new production helmed by acclaimed director Trevor Nunn. Henry has allowed Eleanor out of the tower for a family Christmas, which is marred by the pouting and power plays of their three sons. Is it wrong that Man in Chair’s main source of background information about soon-to-be King Richard and his cowardly brother John came from Disney’s Robin Hood? Featuring an impressive set of towering stone walls and arches, a lavish costume design, and an attractive, if a little too modern in appearance, young supporting cast, all the elements seem in place for a sterling show. The total is certainly less than the sum of its parts, and the main cause is the script. 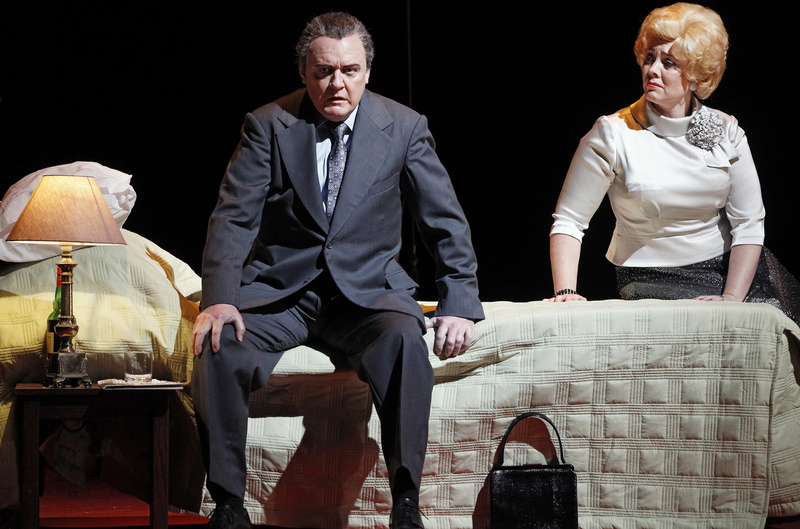 James Goldman’s 1966 Broadway play is more of a drawing room comedy than the stirring historical piece that seems promised by the visual richness on display. Not funny enough to be a comedy and not dramatic enough to be affecting in any way, the end result is more of a theatrical curiosity than a stirring night at the theatre. Noble, distinguished Lindsay was certainly in fine form, and was a pleasure to watch and hear throughout. National treasure Lumley, given many of the best lines, clearly enjoyed herself on stage as much as the audience enjoyed watching her. 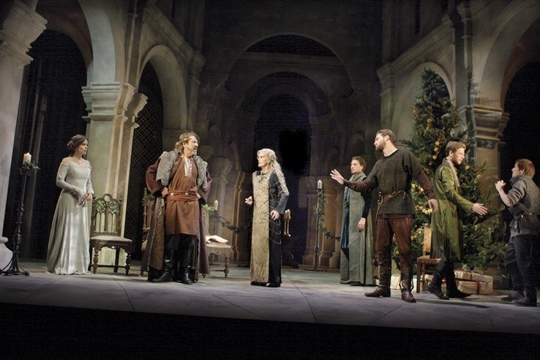 Scenes involving the two stars together were highlights of the show, in fact the younger actors came off a little second rate in comparison. Tom Bateman was an attractive Richard the lionheart. Seeing these big stars is one of the reasons to see plays in the West End and these two did not disappoint. A musical-sized cast has been assembled to finally bring Alan Bennett’s 20 year old classic to the West End. West End transfers from the National Theatre are all too common, there are three playing at the moment, but the 1991 NT hit skipped the West End and hit the cinemas as The Madness of King George. Nigel Hawthorne recreated his acclaimed starring role. 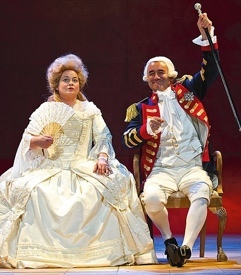 Set in the royal court of the late 1700s, Bennett’s economical, often sharply funny script briskly establishes the King as an endearing, sharply astute man of the people. The onset of his distressing and often painful symptoms is difficult to watch, but the torturous treatments metered out by his clueless, pig-headed doctors are even harder to bear. The tension sustained while hoping for the King’s recovery was as palpable as that in any murder mystery or courtroom drama. 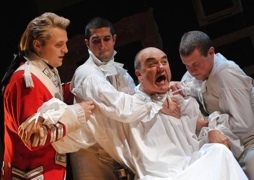 Central to the success of this staging is a marvelous leading performance by David Haig, who captured the audience’s affections with ease. Haig’s acting range was extraordinary, his initial jovial tone giving way gradually to a harsh physical and vocal transformation as the King’s illness took hold. Further acting highlights from the evenly talented company of 24 included Ed Cooper Clarke as the handsome, loyal Captain Fitzroy, Peter Pacey as the buffoonish Dr Baker and Beatie Edney as the devoted “Mrs King”. A particularly delightful character was the Prince of Wales, played by Christopher Keegan who had a moon face that made Bert Newton look pinched. Resplendent in purple velour jacket and lilac stockings, the portly, self-centered Prince endured his parents’ taunts over being a “plump little pheasant”. Money spent on actors’ salaries may have been saved from the spare setting. Doors, door frames and walls of picture frames flew in and out on a floor and back wall of beech to suggest various palaces and parliaments. Costumes we’re suitably regal, with clever use of distinctive colour to help distinguish the large number of male characters. 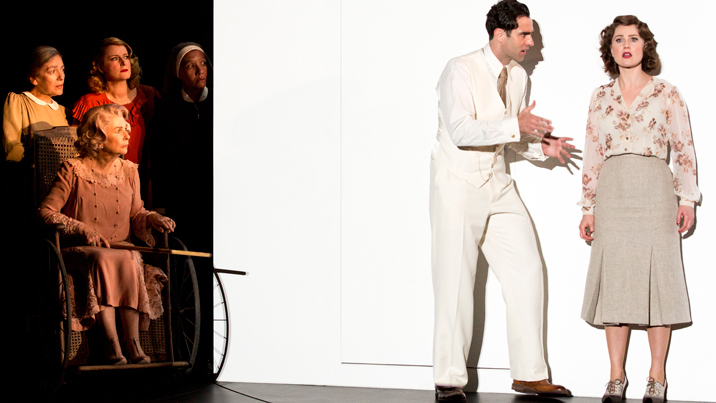 The humanity and power of the play are sure to be cherished by many happy theatregoers. Wow, you really lived it up on your trip! Are you still here or have you gone back? Still here, and with plenty more posts to come! Thanks for your support. Hope to have as many readers as you one day – long way to go!